coz Girls love to party in style! 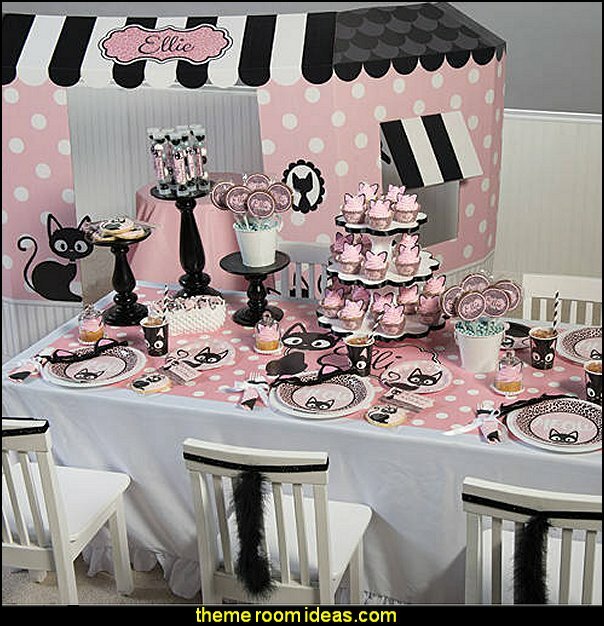 Let your kitty themed birthday party be the cat's meow! 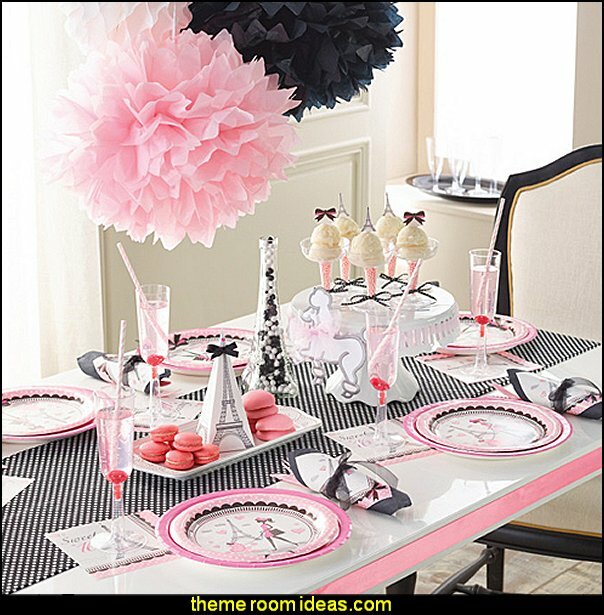 Make her party absolutely PURRRR-FECT with our Kitty Cat Diva Party Supplies. This adorable theme combines the colors of pale pink and black with kitties, leopard print and polka dots. 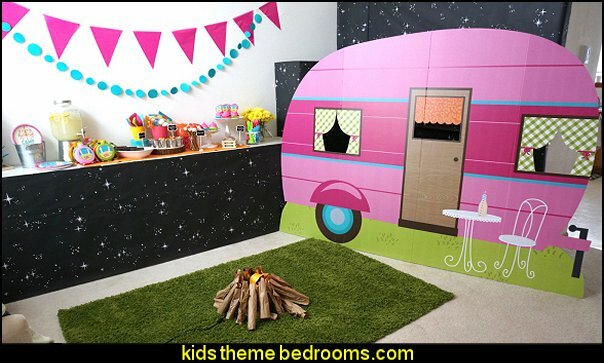 It's time for a camping party! 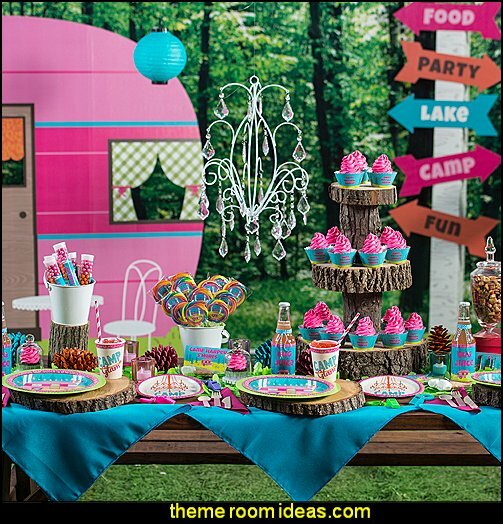 This super cute theme combines rustic yet chic camping scenes in bright, vivid colors and you can even choose to customize the plates, cups, decorations and more! 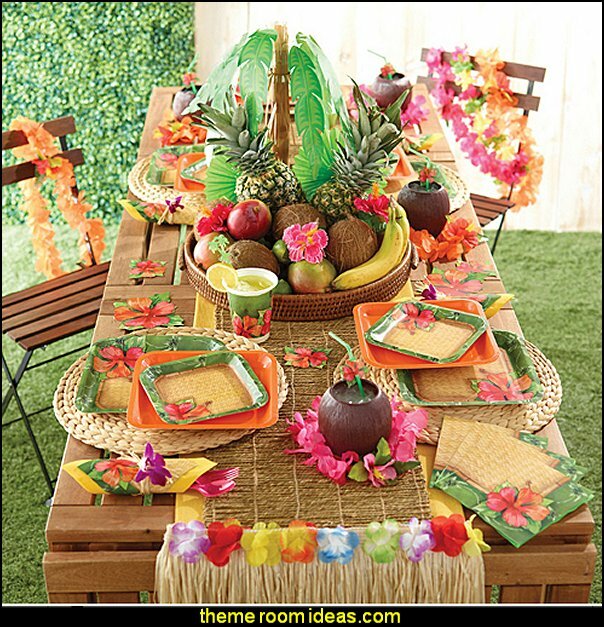 Party planning has never been easier with Camp Glam Party Packs. Get your paintbrushes ready - it's party time! 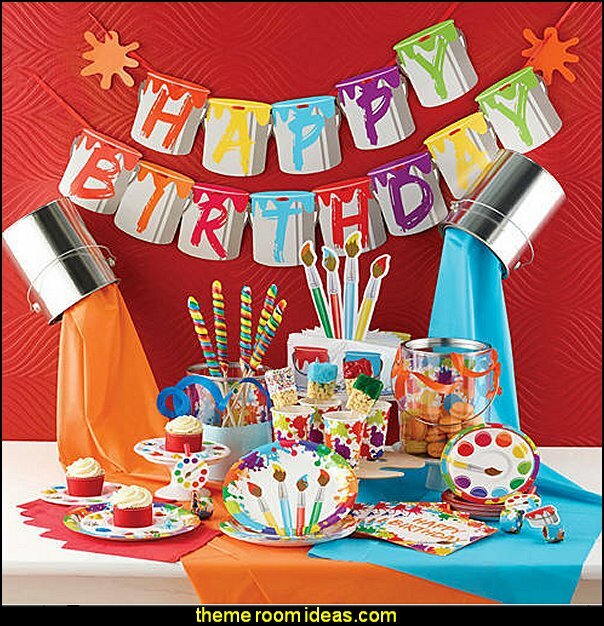 Spark up the creativity and design an atmosphere full of fun and excitement with Art Party Supplies! This special theme boasts bright, vivid colors of paint splatter and paint brushes. 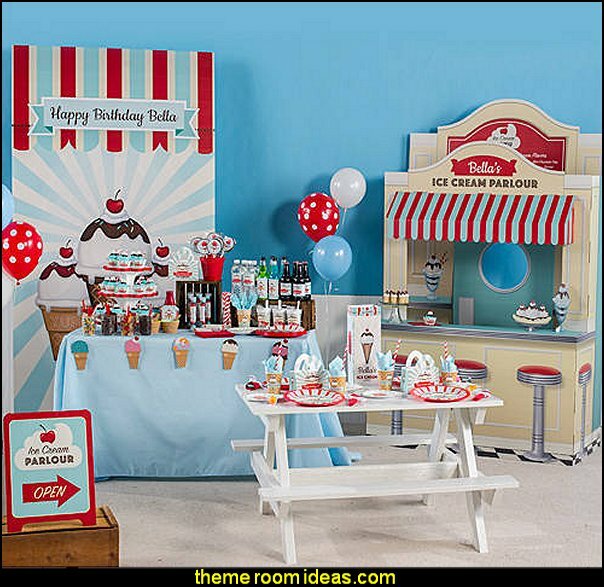 Ice Cream Parlour Party Supplies make your celebration absolutely delish! 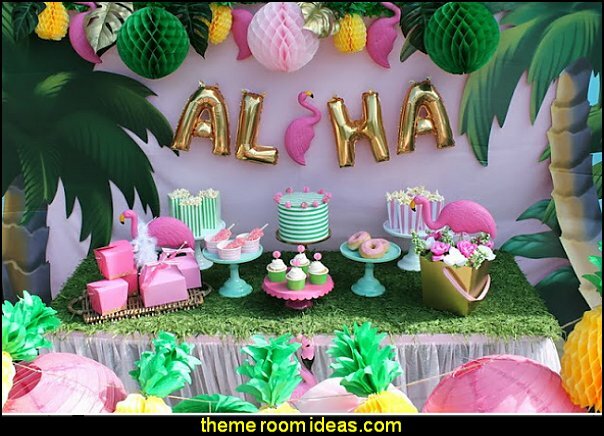 This sweet theme combines the stripes you remember from old fashioned ice cream shoppes with images of ice cream cones, sundaes and popsicles. Throw an Ice Cream Party that will have your guests begging for more - because everybody loves ice cream! 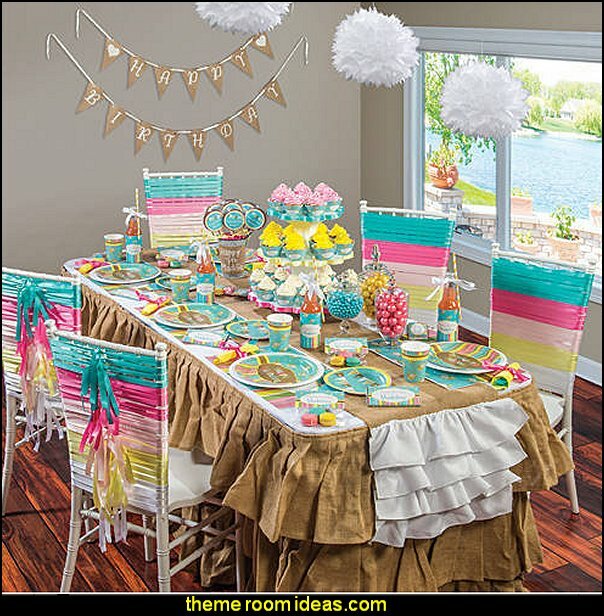 Sugar and Spice Party Supplies feature an adorable floral and stripe design in pastel colors. 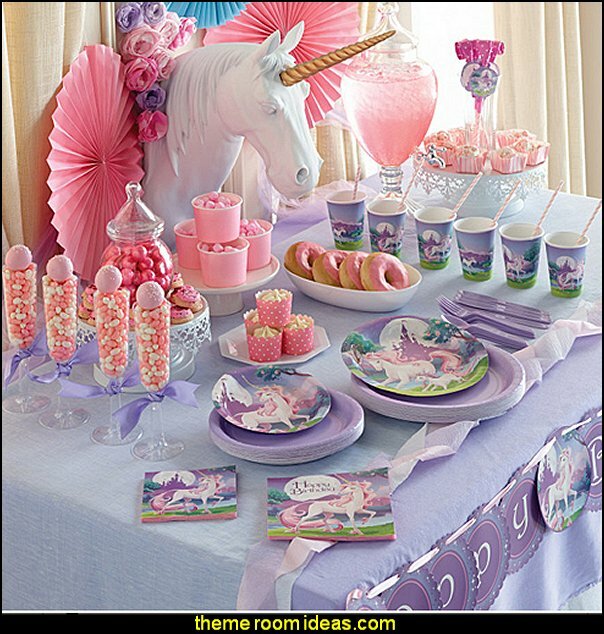 Unicorn Party Supplies theme boasts unicorn images with flower and polka dot patterns in lovely pastel colors.